A MEMORIAL plaque to a former councillor has been unveiled on the only viaduct in the Bognor Regis area. The tribute to Dr Alan Stainton has seen the structure on the Bognor Regis relief road named after him. A ceremony to mark its unveiling took place last Thursday. Among those present were his wife, Elaine Stainton, family members and friends as well as Arun district councillors and the council’s chief executive, Nigel Lynn. 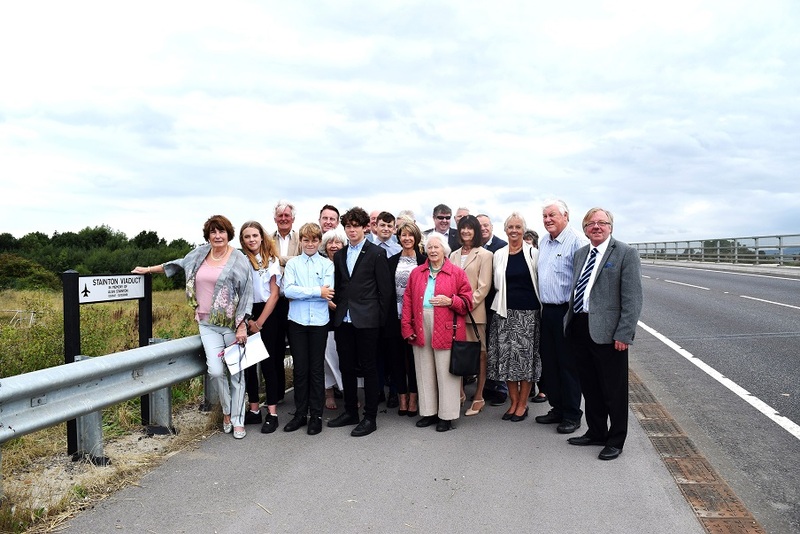 Cllr Mrs Gillian Brown, the district council’s leader, said: “It was a great privilege to be at the unveiling of the Bognor Regis relief road viaduct plaque as a tribue to Alan. “He was both a friend and a well-respected councillor colleague of mine. The unveiling came nearly ten years after Dr Stainton’s death in December, 2008, aged 61 from a rare form of non-Hodgkin’s lymphoma. He had been a Conservative district councillor for Felpham West for 13-and-a-half years. He was first elected in May, 1995. He was also a parish and county councillor the area and was dedicated to village matters by speaking up to support residents and challenge decisions. His later roles included vice-chairman of Arun’s policy development scrutiny committee after he had chaired three of its most important committees. Away from the council, he had a varied and honorable career in aviation engineering. He was just one of three civilians to be awarded the Gulf War Medal by the British government.